Cats are awesome. I love all animals, but Cats are the ones really close to my heart-somewhat by circumstance (lack of space) and mostly by choice (because they are just a perfect pet). 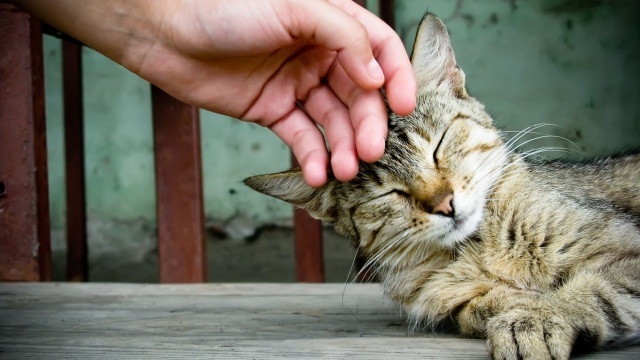 I have already written on the power of Purr in my recent post which is beneficial to cats and their human companions, but their healing powers extend far beyond. First I've heard of Healing power of Cat was maybe 15 years back or more, when media reported a case of an old lady miraculously recovering from stroke with the help of a Cat. As I remember it, the old lady was mostly paralysed from stroke effects with not very sunny prognosis from the doctors. As she was tied to her bed, her Cat would come and sleep there with her keeping her company. Little by little the urge to pet her adorable furball helped the old lady overcome the paralysis, recovering beyond everyone expectations, some of the damage caused by a stroke. From then on every once in a while I've read of such cases which only confirmed notions every Cat owner has based on the experience they have with these beautiful animals, Cat is the best remedy for any grief (physical or emotional). Cats help with depression, loneliness and are the best listening buddies. Cat helped my father get through serious depression after my mother died, helped me fell less alone and got me through some of the worst periods of my life and remain my support to this day. I owe them so much, yet they so ask very little in return.If Cats were handed out on prescription- there would be more Cats in their forever home and less unhappy and sickly humans. As I've already written, the frequency of Cats purr, beside promoting tissue and bone regeneration in Cats also does so in Humans. Purrs are also magnificent stress relievers, and we all know that stress is a silent killer. 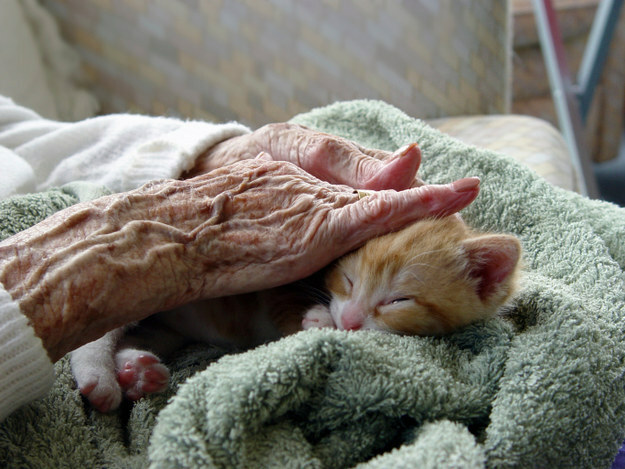 It became a relatively recent practice of many nursing homes to adopt a Kitty giving that having proven at times that a feline friend decrease Alzhimer's and Dementia patients' anxiety levels while promoting at a sametime a sense of well-being. This I have found to be true from own experience and the people around me and is something which brings a lot of heat in the discussion with people not owning an animal. 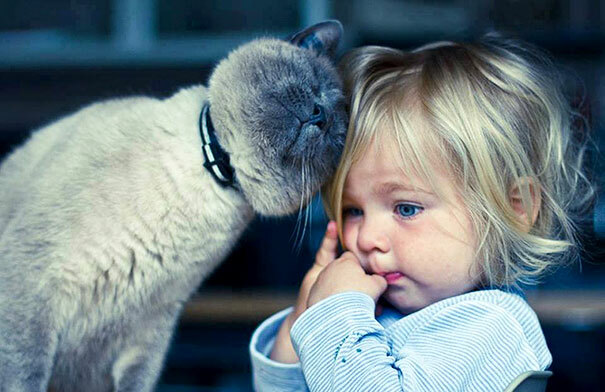 Pets ..Cats are good for your immune system and also prevent your child developing asthma and allergies further in life. They are not a danger to kids or pregnant women, some studies event suggest, contrary to popular belief, that it even boosts immune system of pregnant women when it sometimes lowers at conception. Though cats are a less common a choice for a therapy animal than dogs are, studies are now showing that cats are great at this job too. More are more studies are showing that cats can not only detect when their owners are about to have a seizure, but that they can be trained to warn their humans of the oncoming attack. No one knows quite what gives kitty kind this unique ability, but scientists guess it has something to do with their ability to detect biochemical scents. Kiss your prescriptions goodbye and grab a Cat-it seems that owning a cat increases serotonin production, which reduces the risk of depression and makes life a little happier all around. While you may feel inconsolable and like your world is ending, greeting a Cat into your life in the time of grief has been proven to be an excellent coping strategy. Cat owners have been shown to process grief more quickly and even cry less during the process of mourning. Some have pointed out that cats can not only serve as a means of support, but are excellent listeners who aren't prone to judging or interrupting. 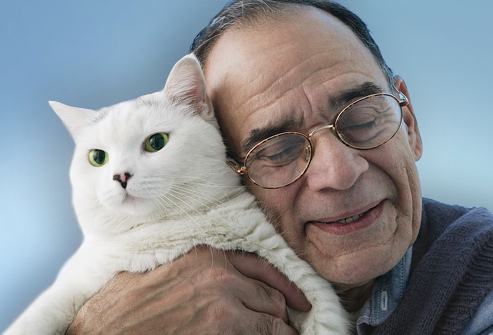 According to a study from the University of Minnesota, cat ownership is a great way to keep your ticky- ticker in shape. Statistics from the study revealed that cat owners were between 30 and 40% less likely to endeavour on a trip to the great beyond from cardiovascular disease than non-cat owners. Also it seems that substituting dogs for said felines did not produce the same effects. In 2012, a French study revealed that cat ownership can be beneficial to children over the age of 5 who have been diagnosed with autism. The study showed that kids who shared their homes with kitties were more likely to share with and comfort other children than non-kitty owners with the same diagnosis. That's right, there's now an official scientific excuse to keep the kitty pictures coming at the office! A study out of Hiroshima University in Japan, found that viewing adorable photos of kitties and puppies increased the performance level of students who were then asked to complete tasks requiring a great deal of focus. As one researcher explained, “viewing cute things improves subsequent performance in tasks that require behavioral carefulness, possibly by narrowing the breadth of attention focus.” If cute kitty pictures alone could produce such results, imagine what having a full-time cutie patroling the house could do!